"GINAWA MO KONG ATM MACHINE" Shara Chavez Said to Her Husband Jovit Baldivino! 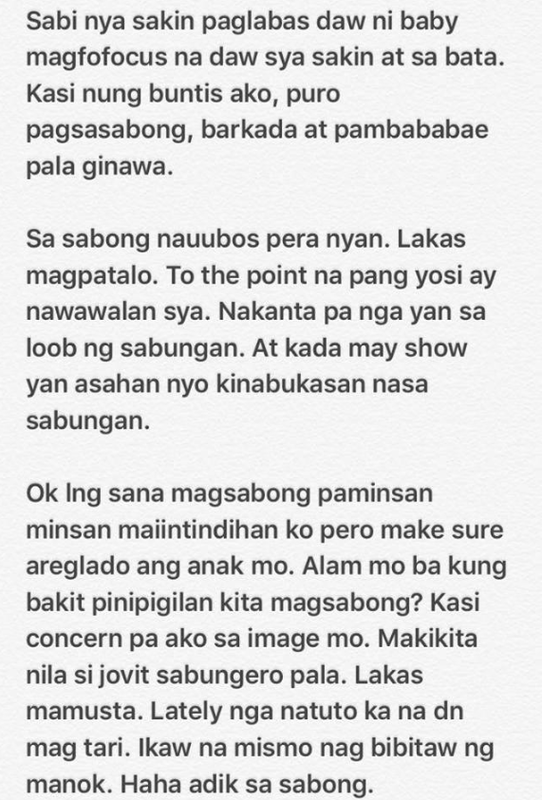 The controversial breakup of Jovit Baldivino and the mother of his daughter is making a noise in the online community. 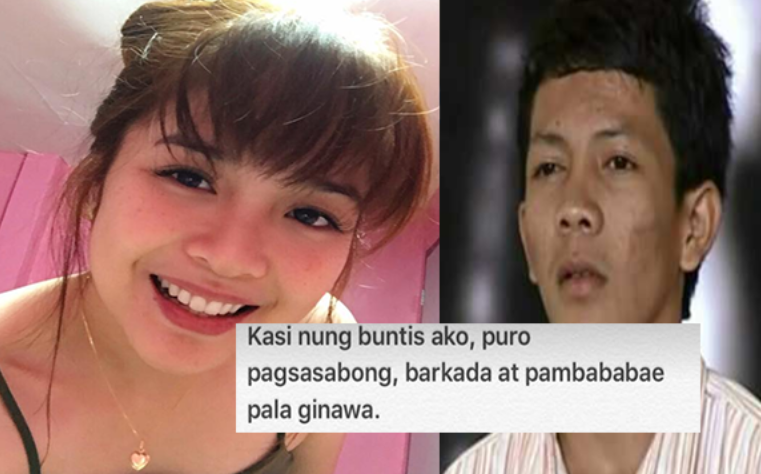 First, Shara Chavez accused his husband Jovit of cheating. Now, going deeper into this issue, it seems that there is a lot more. 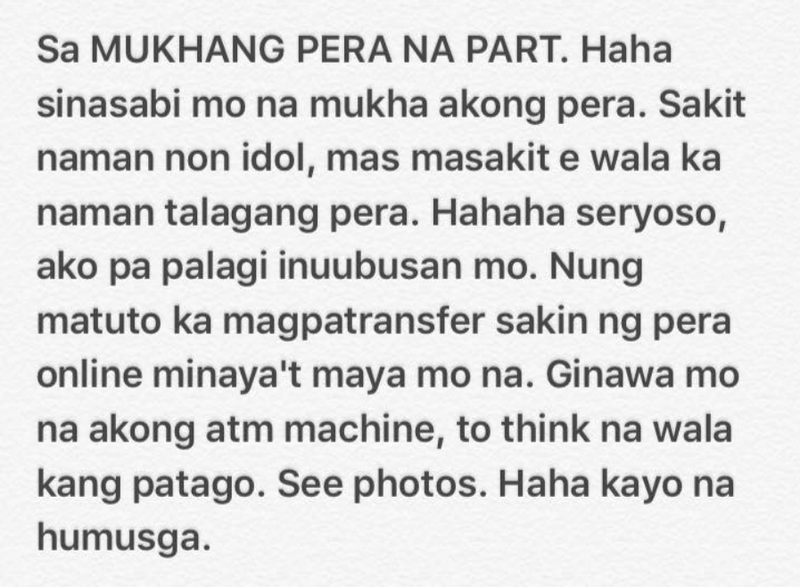 If in case you missed it, the issue started when Shara Chavez posted on her Facebook account an alleged video of the Pinoy Got Talent grand winner with another girl. She said that Jovit met this girl last June 3 and also last June 9 he visited this girl where the Facebook Live happened. Now another issue about their breakup is sprouting like a wild mushroom in social media today. 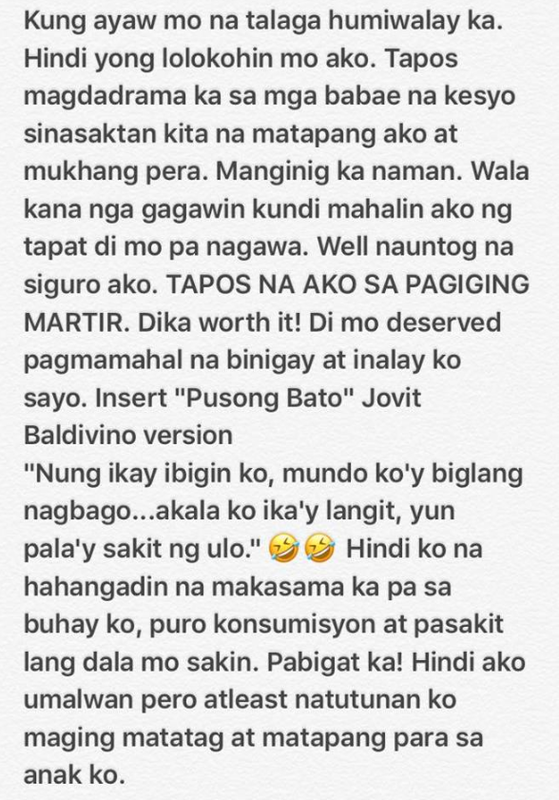 Shara Chavez said that Jovit always asked for money. 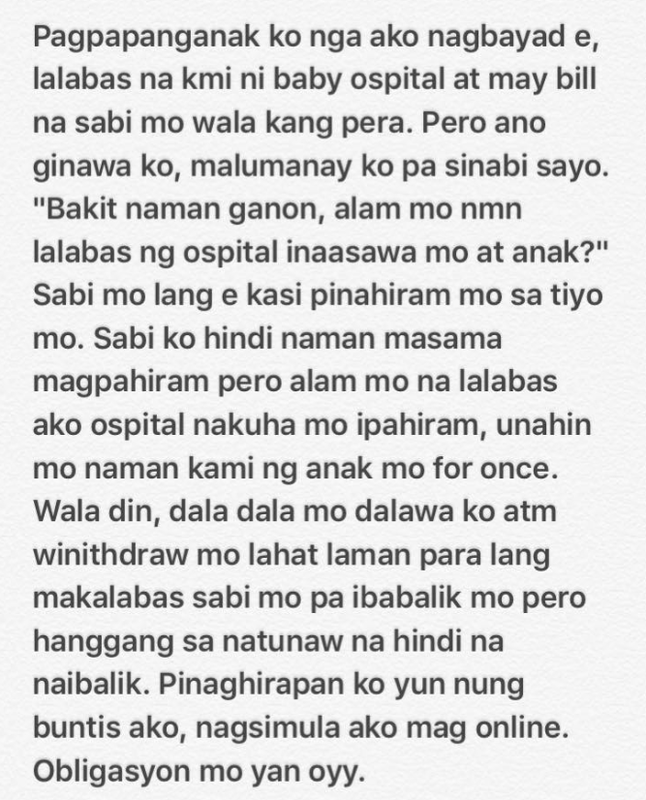 Shara also added that even the day after she gave birth to their daughter , Jovit’s financial help were never witnessed. Shara also mentioned that she was the one who pays for their monthly bills such as electric, water, and internet bills. She also added that her shoulders almost all of their monthly expenses. 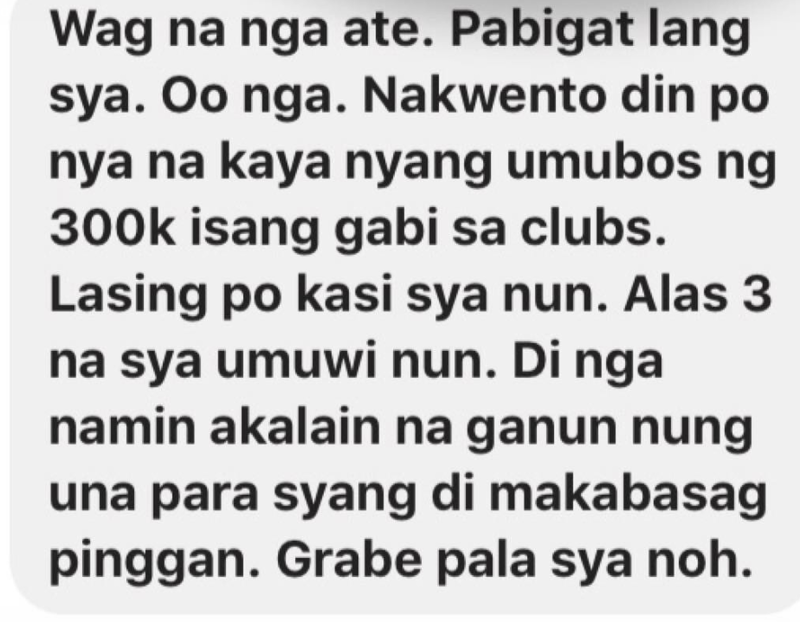 One more thing that almost shocked everyone is that in the photo of her post , it indicates that Baldivino can spend 300,000 php in a single night to a club. Adding fuel to the fire, ” “Sa sabong nauubos pera nyan, (referring to Jovit) lakas magpatalo ” Chavez added. 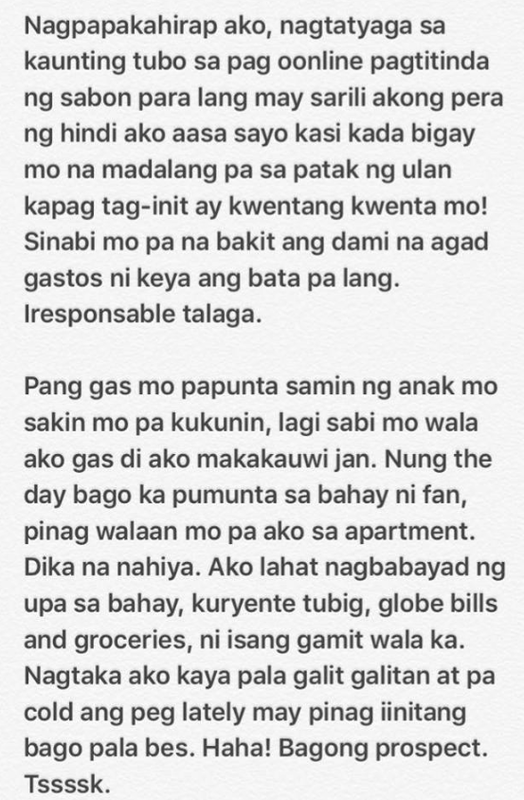 If you want to read and verify the whole story, kindly check this post of Shara Chavez in her Facebook account.